"The former group are interested in Lie algebras and algebraic groups while the latter group includes commutative algebraists and topologists. This is the first book I've read that is aimed at both audiences, providing a clear exposition of a truly beautiful area of mathematics. It is probably fair to say there isn't much new in the book, except to find all the relevant material in the one place, well-organized and well-explained...This is a very lovely book to read. I found the pace of the book to be perfect. The approach follows the development of the subject in the literature closely - this is how it was discovered, more or less. It appears to my eye to be accessible to a first-year graduate student. It is not overly terse, nor overly wordy and there are many examples." "The book is certainly a good source of information mainly in the more advanced areas of the subject. The references compile nearly a hundred articles and books." 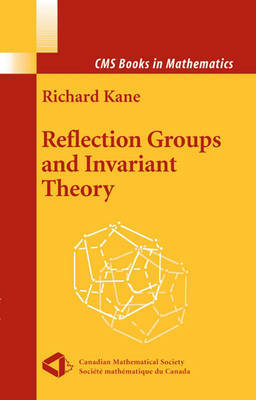 "The book is a very accessible introduction to a wonderful part of mathematics that has many applications...it can be pointed out that the approach taken in this book includes examples of the use of Galois theory, Cohen Macaulay properties, Hopf algebras, representation theory and basic algebraic geometry. This is a nice way to see applications of these areas...The book would certainly be a good choice to teach the ideas in the above list, as the book flows very well. Each chapter is well motivated and summarized in its introduction."